With frolics and foraging, flitting, flying and two unusual feathery friends, this is a madcap and touching show about birds facing changes to their habitat. 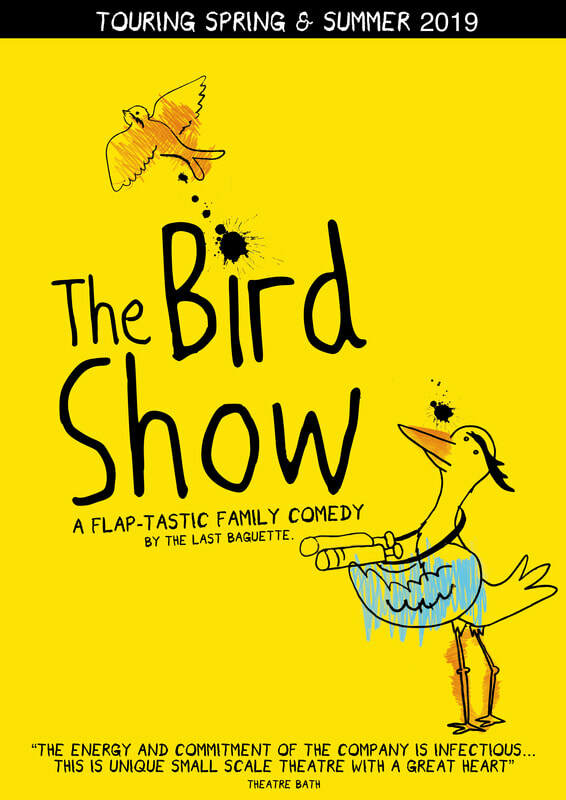 The Bird Show uses live music, puppetry and lots more silly bird puns in this heart- fluttering physical comedy about conservation, migration and imagination. We follow Henry the Heron and Sally the House Sparrow on a zany journey to become friends while facing ecological threats to their habitat. This colourful, visual show uses music, object puppetry, dance and low-fi acrobatics to gently explore the impact of humans on nature and asks the question - what can we do differently? Written by award-winning playwright Tiffany Woodsmith, directed by international director Susana Alcantud, with designer Bronia Housman and original music by singer/song writer Catherine Burke.